It still takes my breath away. 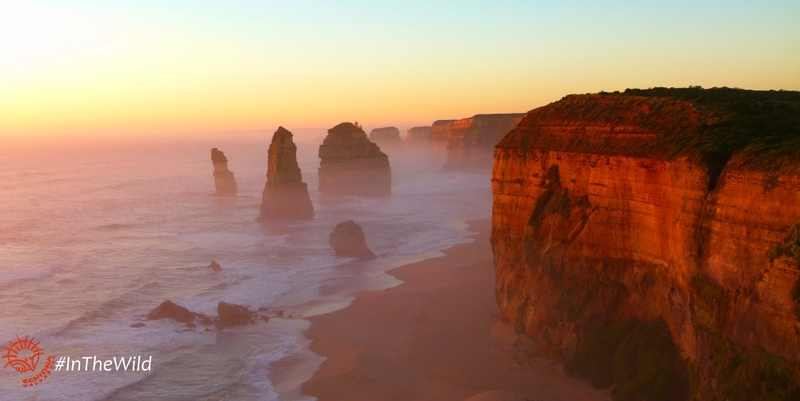 An epic show over the Southern Ocean every night between October and April. Just minutes earlier I was reassuring my guests, but they weren’t convinced. I could see hidden glances at wristwatches. We had waited half an hour and they were beginning to doubt everything I’d told them. “If it’s so great, why isn’t anyone else here?” one guest asked. Despite being only a 5 minute drive away from the popular Twelve Apostles, we were indeed the only people at the observation deck, right in front of the island. We waited as the intense pink and orange streaks on the skyline, aftermath of a sublime sunset over the ocean, faded into more subdued hues and darkness crept in over the horizon. In front of us a massive ochre rock rose out of the ocean, waves crashing around its base. We watched. Waited. Silence. Breathing in gusts of cold salt air straight from the Southern Ocean, particles of salt sticking to our tonsils. A dark figure with boomerang wings appeared out of the darkening ocean at high speed. 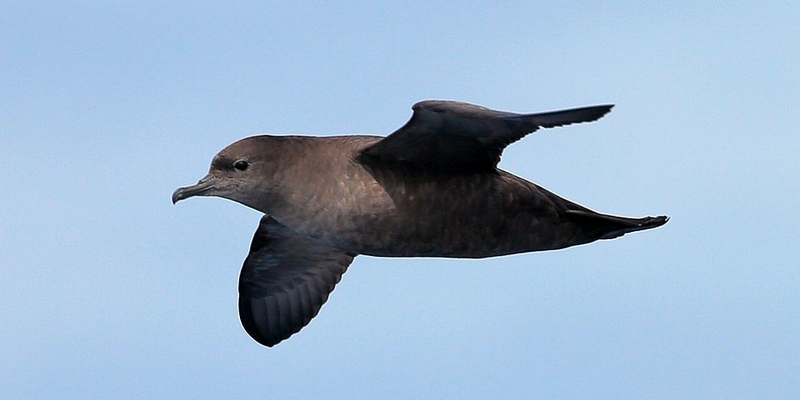 The Short-tailed Shearwater soared over the Great Ocean Road, circling over the rock before us. Then another, and another, and another – soon there were more shearwaters than open night sky. My guests looked enthralled, all standing up and leaning against the railing, necks craned trying to reach out to the natural spectacle before us. Well named, shearwaters fly low with blade-like wings, skimming the surface of the ocean. Short-tailed Shearwaters come to the Great Ocean Road to breed. They nest in burrows in rock stacks and islands. Except for a ‘honeymoon’ at sea from 12 to 25 November, every night from late Sept to April you can see shearwaters returning to their burrows. Sadly, due to plastic pollution in our oceans, overfishing and climate change causing collapse of plankton and fish populations, some years many adult Short-tailed Shearwaters die. This phenomenon is called a ‘wreck’. Read more about shearwater wrecks here. Read more about Short-tailed Shearwaters here. Her Dad flashed me a satisfied grin. The last coloured specks from sunset had faded to dull orange, then brown, a dark blue and now black. A weak silvery glow of a handful of stars had started to speckle the sky around us. The Short-tailed Shearwaters of the Great Ocean Road continued to fly in from the sea, and would do so for another hour or so. But it was hard to see their dark bodies now, and the slim crescent moon rising over the pale cliffs to our right signaled that it was time for us sleep. 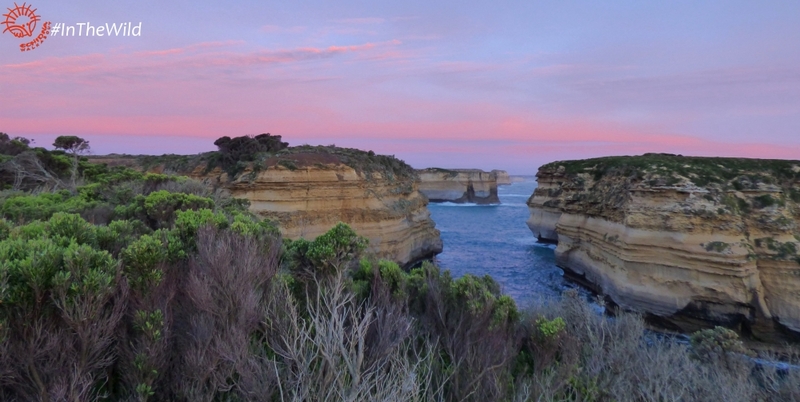 Watch this spectacle of nature on the 3 day Great Ocean Road tour. Departs every Tuesday and Friday from Melbourne, all year.